Be in control of the temperature and your event with SA Party Hire’s selection of quality heating solutions. 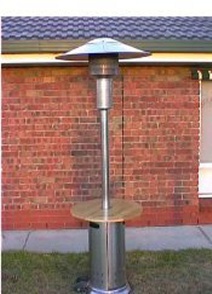 Elegant Flaming Pyramid Heater $80 With out gas $100 with gas. 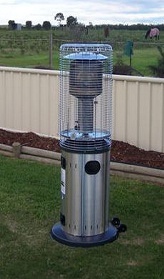 Our most popular heater because it has a head diameter of 27mm witch is much bigger than other patio heaters on the market and produces much more heat. 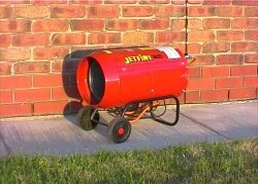 It heats to body height $50 per night with out gas $75 with 9klo gas bottle heater will heat for approximately 12 hours.